This post deviates from my usual ones, which are strictly fiction. I have not posted anything for three months due to an observation I made one day while stuck in traffic. It led to a philosophical quandary that still plagues me to date. I hope to pull out of it sooner. Meanwhile, my wonderful friends over at Blog Friends First, led by no other than Damyanti Gosh of Daily Writes have organized the Cherished Blogfest. 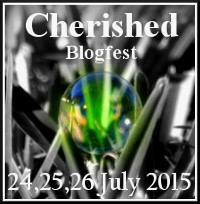 The Cherished Blogfest is about the most cherished object in your possession. I once came across an assertion that life is but memories. Without memories there is no life. Memories trigger our emotions and we interact by our emotions. The things that we love, that we cherish the most, that we hate and loathe, and fear—we treat them as such because of the memories attached to them, invested in them. The Cherished blogfest is NOT just for the members of the BFF: Peter Nena, Damyanti Gosh, Dan Antion, Sharukh Bombat, Paul Ruddock, and Cheryl KP. We would also love you to tell us about the objects that spark off your fondest memories. Therefore, for the Cherished Blogfest, we invite you to talk to us about one of your cherished objects. Tell us what it is, post a picture of it if you like, and tell us why you cherish it. Keep your posts to a maximum of 500 words, and join us on the 24th, 25th and 26th of July 2015 in sharing memories, emotions, information. Above all, join us in making new connections and renewing old ones. 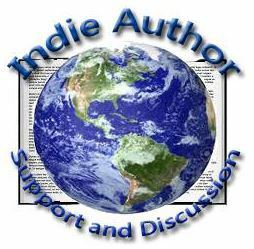 Visit the blogs of the cohosts and follow them, even as you increase your own followers and readers. Add your name and blog link in this Linky List, sign up for the Cherished Blogfest, and share your cherished memories on 24th, 25th and 26th of July 2015. Place the badge on your sidebar, and help us spread the word on social media. NB: The Badge is a courtesy of Cheryl KP and Daniel Antion, both of whom are truly extraordinary people, full of heart, passion, dedication, and love.